This recipe is so simple that I had to share it with you guys. The only instructions are to throw everything in a bowl and whisk. I also added a lemon glaze to mine. Butter a loaf pan and dust flour inside the pan coating all sides. 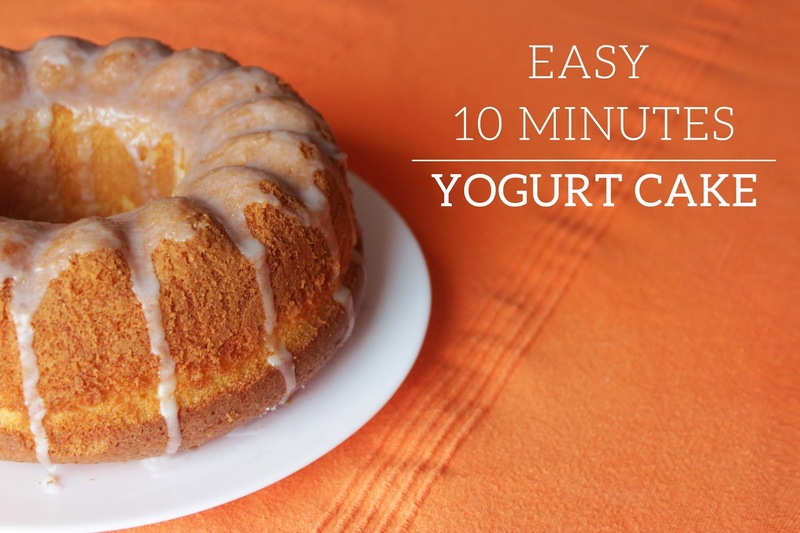 In a bowl whisk the eggs, yogurt, sugar, flour, baking powder and oil. Mix well until completely blended. Pour the batter into the prepared pan and bake for 35 minutes. When the cake is done cooking let it cool in the pan. Make the glaze by whisking together the confectioners sugar and lemon juice. Pour glaze over the fully cooled cake. Wait 30 minutes before slicing to allow the glaze to set. And it's ready to eat. sounds yummy - but recipe says loaf pan and you show a bundt cake.....time adjustments or any other adjustments for bundt? 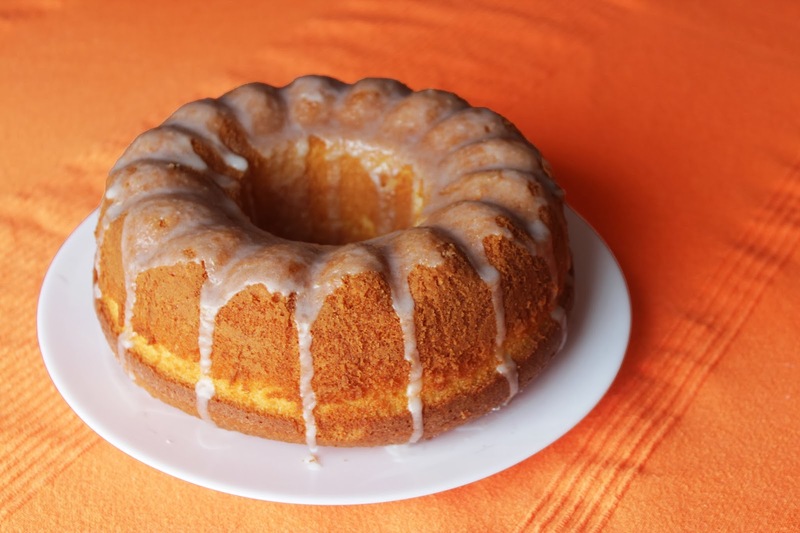 I have made this recipe in both a loaf pan and a bundt, it takes more or less the same time, and usually I take a fork to poke the cake to see if it is ready. I am a bit concerned about the amount of sugar used in this recipe. Could a substitute be used? Like this so much just had to rush out and whip it up. I put it in a bundt cake pan. :) Thanks for sharing!! !